This month Tara Punter – of Tara Punter PR – explains how planning and preparation pays off! If you’ve taken a look through some of my previous blogs here on the Equestrian Business website, you’ll know all about how PR and social media can help you grow your sales, get your brand out there and help you launch new products. If you decide to focus on a campaign, it might just feel a little bit daunting when you first set out – where on earth do you start? This piece aims to help you plan and prepare so that the time you spend on PR and marketing is spent as wisely as possible and you get the very most out of the exercise. Before you begin your PR and social media campaign, sit down and get your thinking cap on. What do you want to achieve with your PR? Is there a publication that you see products or ideas just like yours in, and you would like to try to get coverage? Or would you like to raise awareness locally for the services you offer and so would like to get to know journalists from local papers and magazines, and show them your business? What would constitute success for your social media campaign? An uptick in followers, more engagement on each post, or more clicks through to your own website? Make sure you record all your goals as you will need to refer back to them later on. You can either populate an existing wall-planner or create an excel spreadsheet, but I cannot recommend enough that you give yourself a tool to view all your important calendar dates at a glance. These will include repeating annual events such as Halloween, Bonfire Night, Christmas, Easter and Bank Holidays, as well as ‘international day of’ dates, awareness weeks and key events in your industry. 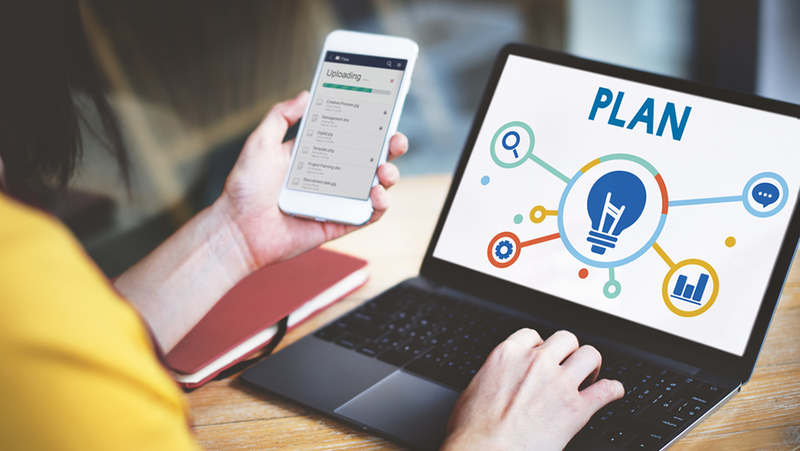 Your populated planner will help you to create relevant social media content and will dictate when you send out certain press releases, for example the long lead time press (i.e. glossy magazines) plan their Christmas gift guides from July to September, so you need to be working quite far ahead. There’s nothing worse than having to sit down and think about what you want to post on social media or write a press release about. Both your goals and your calendar of key dates can be used to create an editorial calendar. If you spend time on this, populating it with dates, seasonal product information and reminders, when you sit down to schedule social media or write a press release, you’ll already have topic ideas to choose from and your end result in mind. It makes it far, far easier, trust me. If you spend hours planning your PR campaign, compiling target lists of press you want to approach, sourcing contact details and writing press releases, you don’t want to be let down by a handful of silly spelling or grammar errors. It may not seem like a huge problem to you, but for some people (in particular journalists who are highly trained in the art of communication) a lack of attention to detail in one area, such as grammar, may indicate a sloppy attitude to other areas of business. Why not ask around amongst your friends and family to see who has an excellent grasp of the English language and see if they would be able to cast their eye over your work? If you don’t know anybody suitable then a few minutes online searching for freelance proof readers should come up trumps. Social media posts should be checked too, although I don’t think you need to run them past a professional proof reader, just make sure you read them back to yourself to ensure they make sense and check spelling and grammar basics. When you are setting your goals, make sure you also put in some hard calendar dates to review them. When I say hard calendar dates, I mean ones that you will stick to and make sure that you sit down to take stock of what you have achieved. If you don’t refer back to your goals, how will you know what constitutes success? So, make sure you look and see if you managed to hit your social media targets. If you’ve smashed your targets, then look at which posts or press releases worked particularly well and replicate the strategy in the future. If you haven’t succeeded then don’t lose heart – try something new, do some more research or read on to my next and final point. If you haven’t succeeded then don’t lose heart – no one gets everything right first time, and the fact you are running your own business means you are brave enough to step outside your comfort zone in the first place! There are PR and digital marketing consultants out there who specialise in equestrian and countryside businesses and can help you. I regularly chat with people to see if one of my PR packages is right for them – sometimes it is, sometimes it isn’t, or they aren’t ready to invest in an external agency, but I do know that every time they come away with new ideas to try. One other area that might be worth looking at is coaching – I’m just about to launch my new one to one 8 week coaching programme to teach you all you need to know about PR and Marketing and can tailor make this programme to suit you and your business. Why not drop me a line and see how I can help your business grow? 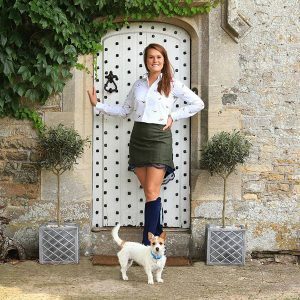 Tara Punter PR is an equestrian and rural PR, journalism and social media company based in the Cotswolds. Tara has been helping businesses with their social media for five years – a business transformed into an internationally-loved brand that’s become synonymous with the success of small, medium and large businesses in the rural sectors. Tara is a horse lover herself, having been riding and largely involved with the equine industry for nearly 30 years. She helps business owners grow businesses through PR, social media, blogging and journalism and offers affordable and high value packages to her client base across the UK and beyond.